This exercise was a good start to the project, it allowed us to learn about the market and the products currently being made for children. Looking at this book, i would say that this product is very well made. Although i should note that this is something that would be more appealing to the parent, as compare to the child. I feel that the product didn’t have that many colors and is a bit too clean and neat to be engaging enough to a child. I feel like this is a good example of how children projects can actually be geared towards adults in order to promote bonding. This is something i would like to consider with my work, the idea of education through bonding; creating a product that helps improve the connection between a child and people around them. The toys I found were very basic. Though I’ve noticed that they are colorful. I think creating colorful products is important as it makes the toys more attractive and appealing to the kids using them. I feel like the toys being sold in stores are very similar to one another, they are merely slightly modified versions of one another. With that i feel that when approaching this project, i should try to create something new. There aren't that many variations of educational toys for kids, and this field of products is something that should be expanded. This book demonstrates the simple aspects of numeracy that is deemed as the basic for children. It gives me an idea of what I should try to achieve with my product, as I would like to focus on numeracy. It seems that the initial starting point is to teach kids how to count, whether it be through using their fingers, or in a more advanced level; adding subtracting, multiplying and dividing. These are the things I need to consider before deciding on a product; my target audience. Children of different ages are required to know different levels of math, and this is something I need to consider when making my product. How to align the product with the audience’s age whilst keeping it engaging. Although this project places an emphasis on aesthetics and functionality, I beg to question how exactly volumes, patterns, textures and colors can be turned into something more functional; a way to differentiate objects or to organize them? I am intrigued by the creative ways in which the designer creates these ceramic pieces, they are beautifully made whilst challenging the idea of basic pottery, placing an emphasis on volumes, patterns, textures and colors. I feel this is something I want to do with my work, to create unconventional pieces and to experiment with colors and shapes. I feel that this work opens up a new side of ceramics, that it is not just basic pottery or white vases, it can also be something more modern, a bridge between functional and decorative. By looking at the idea of something more through the use of color, instead of adding a new material, Hubert makes an excellent point, can’t less be more? This is an interesting point wherein one-off detail by manipulating a traditional process can really make a difference in a work. Another interesting aspect of this work that intrigues me is the was Hubert leaves on the raw seam, adding a distinctive feature to the work. It is interesting as often times, designers would cut of the seam in order to create a cleaner finish. I wonder why he did this? Although if I were to guess, I would say that it is an aesthetic choice, wherein these functional objects are given a bit more life and character through simple steps such as coloring and leaving the seam. This is his way of merging functionality and decorative sides of making. I feel like this is something I would like to explore deeper whilst doing my work. Although functional object should be clean and simple, as their main job is to do what they are supposed to do, would adding a decorative twist change the way it functions, thus limiting its ability to work? Or will it develop the object further, making it more interesting and engaging to the audience? Interesting idea, to conceal a hollowed-out space within a rectangular figure. It is also interesting how these shapes are emphasized through the use of color. They the containers and uniformed in the outside but differs in the inside intrigues me. Piñatex® is an innovative natural textile made from pineapple leaf ﬁbre. When making the actual product, I would like to make it out of Pinatex. It is a sustainable material that has the same characteristics as leather. It is strong and versatile, whilst giving the same elegant and expensive effect of things made out of leather. Additionally, I would also note that Pinatex has a low impact on the environment and also helps the community it works with, in contrast with leather wherein it harms animals and has a high ecological impact. I feel that choosing sustainable materials is very important, as the design we make can cause a huge impact in the world we live in. This designer examines the idea of creating everyday with new and most importantly sustainable material. Instead of focusing on redefining an object through it shape, functionality or composition, the designer instead experiments with different material that can improve objects that has already been design. I that reexamining the object we have now and improving how it made can really make a big difference in terms of the trash we produce. I’m really interested in the idea of redefining the materials we use, I feel that this is something I would like to explore further in this project. Ijen is a restaurant that focuses on sustainability and the idea of a business creating zero waste. They are the first restaurant to have been made of 100% used items, whilst sourcing their food from the ocean, emphasizing on creating no waste and having a small ecological footprint. 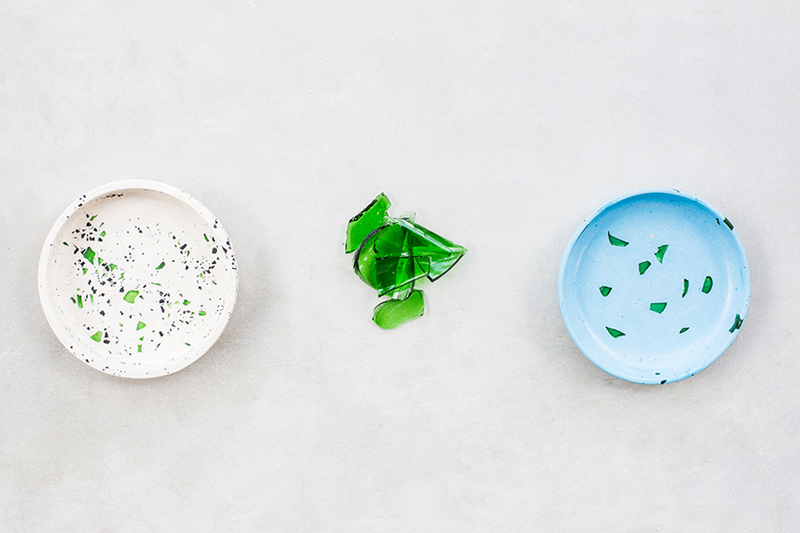 This restaurant is an inspiration as it shows how a business can make a difference by really thinking about the waste they create and the amount of product they consume. Being thoughtful of the impacts of our actions is important, and this is something that I should think about as I grow as a designer. "Research and design workshop dedicated to finding innovative solutions to waste, which will help us to keep our operations zero waste and become a circular brand in which every element fits into the three Rs of sustainability—reduce, reuse and recycle." "Behind its big glass windows you’ll find resident eco-champions Dewa Legawa and Scott Farren-Price unfolding enthusiastic experiments for regenerating waste into new materials and products. As the lab grows, their output will also serve as an educational and collaborative space for guests and industry peers to learn about sustainable practices. We hope to show our Bali community how an entire business can be tailored around a circular operation, and how a collective effort, based on awareness and education, will create the progress needed." Simple packaging that adds a chopstick holder by cutting out a part of the wrapping. It is simple and effective. It is a traditional Japanese method of folding cloth. This will be the base of my project, as it guides the user to fold cloth in different ways, depending on the product inside it. I feel that this is a smart and versatile idea as it only requires a cloth and can accomodate different items. I believe that this is something that can be introduced to the mass market; it is a simple and sustainable practice that can reduce the amount of waste created through packaging. Additionally it is also a neat and practical way which when done correctly can be a cost-saving initiative for companies. This is the notes I made after my initial interaction with my client. I've listed down and sorted the different aspects of her life that I may be able to improve on or help. I like the combination of the two material. It gives a natural feel to the product. Additionally it also reminds me of the "ulekan" I have back home, a piece of kitchenware that is made out of raw stone. I feel like stone is an interesting material to work with, something I would like to do in the future. Aside from its interesting shape, I think that having a bowl in a genius idea. This allows the user to combine two forms of kitchenware together. Although I would like to note that the shape of the object is inefficient, the idea of combining the cutting area and the place to move the chopped objects is practical. This allows the user to own less kitchenware, whilst making the most of each product. I feel like this storage mechanism is something I would like to build on for my project. They are all very simple and classical toys. From these objects, I admire the way they are design so minimalistically, yet they can do so much.These objects are very functional and i would say is great example of children’s toys. Though looking at it, I would have to note that if these objects were made today, they wouldn’t be as popular as they are too simple, and isn’t that attractive to kids. Today, simple toys like these are competing with ipads and other electronic toys, and sadly they wouldn’t be able to keep up. I feel like a redesign of this classical toys would need to be done in order to preserve these toys. More toys from the museum. I feel like they are less educational and focuses more on being a game. Additionally i dont think these products are well designed, as they lean towards characters and objects in order to sell. I feel like characters are fine, especially in games, though at times adding characters in games makes the product a bit cheesy and seem cheap. I’ve noticed that characters are a very prominent aspect of advertisement, whether it be in the form of a character in a book, a doll or a store display. Adding colorful and likable characters adds a certain appeal to a product, which I think this is something I should consider when developing my idea. Though whilst doing this I have to keep in mind that although I am using characters, they should not be tacky or overdone. Additionally, I would like to note that another commonality I’ve noticed from these characters; they are derived out of two things; animals or shapes. I would infer that in order to keep the design of their toys simple yet playful, toymakers tend to rely on basic shapes in order to not draw away from the reason they are making said toy. I stumbled upon a temporary play park for children at the CSM KX campus. This really intrigues me as small kids were playing with big toys, and this seems to really engage them. I feel that creating something big and somewhat of a play area could really engage children as it has a bigger impact on their mind and also because it is a form of hands on learning, different from what they are used to. I think creating big pieces is something I should consider as it may be an improvement to the current educational toys in the market. Additionally, having a big play area like this also engages kids to become more social and aware of the world around them. I’ve noticed that toys with moving parts, such as the Abacus, is a example of a timeless design. Although simple, it is functional and easily helps the user count whilst giving a visual representation of the thing they are counting. Something helpful for kids who are visual learners. Additionally, it also seems that a more modern version of this toy has also been created. It has a neater design, and considers that use of sizing and color in order to improve original product; the abacus. I feel like something like this is what I should aim to create. A simple yet useful design that has a direct purpose and can be easily used and understood by the user. Simple yet interesting. Although this object is more decorative than functional, I am intrigued with the pinches that create curves on the base of the ceramics. Its interesting shapes gives it a distinct look, that captures the user’s attention. I feel that the designer could try and play around with the pinches and the way the base is created. I feel that this technique can be implemented to create more functional objects when done differently. This object has an interesting modular design to it. it could be used as 3 things, each with its own unique components. For my product I would like to create something like this, a piece by piece product that when assembled can form one thing, though when disassembled can create another. It is interesting how so much thought has been placed in order to fit these parts together. Additionally, I also like the playfulness of the soft muted colors of the objects. It adds character and life, that plain object often doesn’t have. Through looking at these works I realize that using color can make a huge impact within a certain work, though too much color will just make the product tacky. This is something I would need to consider if I do choose to color my work. Although the garden was remarkable, i did not gain a direct inspiration from it. Instead i got me thinking about preservation. During winter, plants die out and I've never seen this before. This made me realize that if we humans continue on this path of environmental destruction, the future generations will not be able to enjoy gardens like this. Thus, I believe that in order to reduce the likelihood of that happening, we should begin changing our ways to a more sustainable lifestyle. Wherein we reduce the amount of impact on the environment, whilst trying to fix the damage that has already been done. 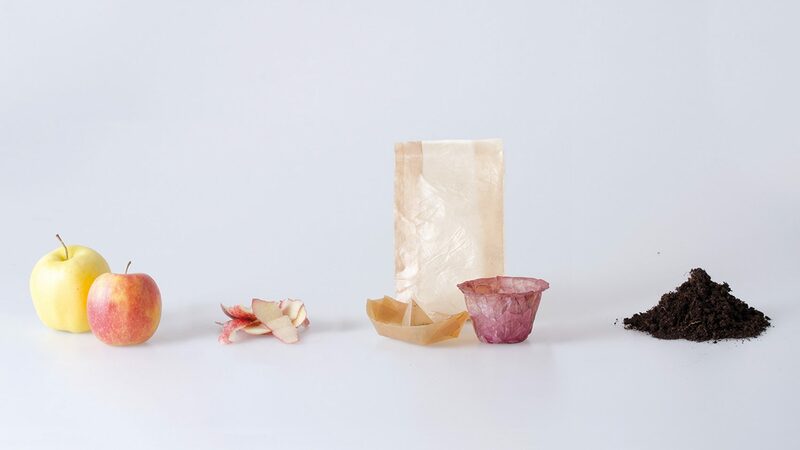 The project, called From Peel to Peel, sees Sicher make eco-friendly food packaging and containers by fermenting microbial cellulose, a symbiotic culture of bacteria and yeasts – also known as scoby – with fruit and vegetable leftovers. Another designer that focuses on creating eco-friendly material. WILDLIFE_"Royal Mail: Stop posting crisp packets without envelopes"
Plays around with the idea of shapes. 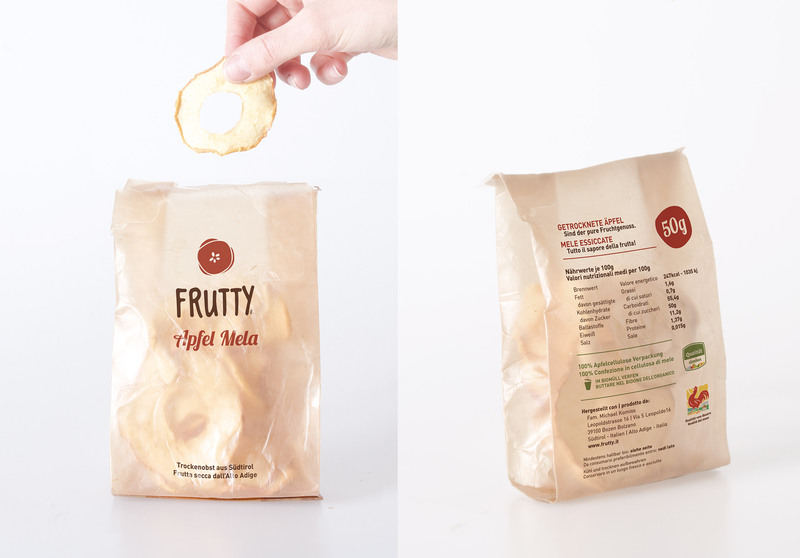 Examines and experiments different ways packaging can be shaped. Cloth is rarely used in packaging, but i think it is one of the best material. It is versatile, sustainable and multifunctional. I feel that the idea of using cloth can be developed into a more sophisticated way of packaging. This is something I will look into further. Nganyam is a traditional method of weaving from Indonesia. It is a sustainable manufacturing practice that can be made with different materials. I think this will be a good way to form the cloth I am planning to make together. It is simple and cost effective. Additionally, it also adds pattern and texture to the work I plan to create. I believe that the idea of using a dowel is smart. It allows the cap of the object to move around, to open and close. It is a simple yet effective technique. I think this is something I should keep in mind when creating my final product. Additionally, as the dowel is hidden, it creates a clean finish to the product. Another thing that I would like to note about this product is the material it is made out of; salt-air-cured-wood. The chosen material adds character to the product, adding a narrative that gives the product life and meaning, rather than it just being an object. An interesting take on the chopping board. It minimizes the area for chopping, as the artist feels that the user would only need a small area for chopping anyways. It questions whether or not two objects such as a bowl and a chopping board can be merged into a multifunctional item. I think this is a great idea when cooking things with chopped herbs. Though this will not be effective when cooking dishes with big ingredients such as meats. I feel that with this work, the designer challenges the idea of a chopping board, and how we perceive it as a hard, flat surface, when in fact it doesn't have to be a plain and boring flat surface. It could be circular or concave, etc. This is something I would like to explore further in my project, as i believe that the chopping board is one of the most useful, yet unexplored cookware we use. UTILITY_"Wood Chopping Board Food Tray"